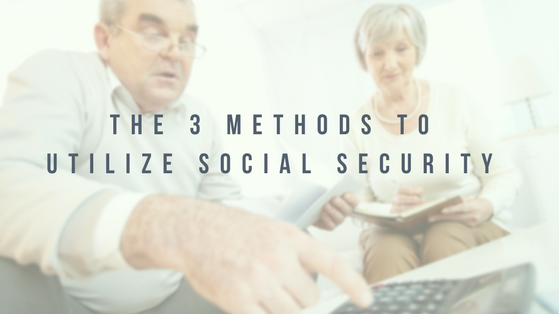 Have you been wondering how to maximize your social security? Are you struggling with the question of when, where, and how much you should take? If you are at full retirement age, act quickly! There’s a couple of strategies that you’re going to want to check out- file & suspend and claiming a spouse’s social security. But if you’re reading this now and it’s July 2016 or beyond… these strategies have gone away and those who are in it are grandfathered in. But now, let’s say, it’s June 2017. Well, what do I do now? For most of us, we don’t have a special situation. We are still married to our spouse. Even better, we’ve been married to them for 10, 20, or even 30 years. Where am I? How long have my parents lived? How long have my grandparents lived? How does my health compare to their health? And think about your spouse’s health. I’ll just tell you a very personal story. I love my parents! They are wonderful, awesome, and caring people. My dad is now 69 years old this year. And my mom, is also going to be 69 years old this year. Unfortunately, my mom has struggled with her health. As a matter of fact, she has had breast cancer, not once, but twice. And she struggles with a lot of medical issues. Back when she was 63, my mom was no longer working, but my dad still was. I encouraged her to go ahead and take social security. Why at such an early age? Why when my dad was still working? Because when we looked at the history- her mom and her dad- we took an average of the two. She would be passing away right around age 80. I know, it’s a bit morbid and cold, kind of freaky talking about it with your folks, but still it’s what we do. So, let’s say she waited a few years. She wouldn’t be getting any money for a while. As a matter of fact, she would have lost out on nearly six figures of income. That’s a hefty load to overcome! The break-even point for waiting to take social security at full-retirement (66) versus taking it now (63) was about age 81. The straw that broke the camel’s back is the fact that when one spouse passes away… you only get to keep the higher social security income. That’s right. Only one! You will only get to keep the higher of the two social security incomes. For example, my dad had been waiting until he’s 70 years old to claim his social security. So, his benefits goes up, and up, and up, and up. Which means he’s getting a lot in the next year. The highest possible social security. Luckily, my parents have had the ability to do that. Meanwhile with my mom, she started taking it at her age 63. What that means is, when one of my folks passes away, they will lose my mom’s social security. But they will have my dad’s, locked in at the highest possible number. I encourage you to think about this, and see how it applies to your situation. If both of you are in awesome health, you might want to wait a little longer. For most of us, I really think it’s better off to have one, lower earning spouse start off earlier, maybe it’s at 63 or 64. Then, the higher earning other spouse starts later. Now, there are some other really creative strategies. Let me tell you a story about a client. This gentleman is a wonderful soul. This client, he is a paramedic, he works super hard. He has been there forever, I think about 40 years as a paramedic. About ten years ago, his wife passed away from cancer. She passed away super early and he was crushed by this event. The fortunate thing, financially about this is, he got her pension which he was able to start drawing from immediately. What he didn’t realize, as we’ve been talking the past couple of years is that he can claim her social security when he retires. Then, he waits to delay on claiming his own social security. This is exactly like what my parents did with the benefit of having a spouse that never claimed her social security and passed away. So, he is going to be claiming his spousal social security starting next year, because he’s retiring and he’s really going to max out on that income before even touching his, which will generate him tens of thousands of additional benefits. Now, another social security strategy you should be aware of is if you have been divorced. This is for divorced folks that have NOT remarried. There are a number of physicians that I’ve worked with who had a wonderful marriage, but somewhere along the way, it crumbled. Maybe, they were working too hard and too long. Maybe the couple simply drifted away from another over time. Regardless, the good news is if you are married for ten years or longer and are not married to another person, you might be able to claim your ex-spouse’s social security before claiming your own. See, use the same strategy as delay, delay, delay; and get some income in the meantime, to help get your own retirement going. Those are three different thoughts on social security strategies and claiming them. It’s all dependent on just how much income you need. Regardless of the scenario, consider delaying your own social security and try claiming a smaller social security first, if one is possible. This can definitely occur if you are married now, have lost a spouse to death, or even have been divorced. You can utilize some of these strategies. Have questions about this stuff? Want to talk further? Connect with me and let’s get you squared away and clear the fog of uncertainty around your finances. 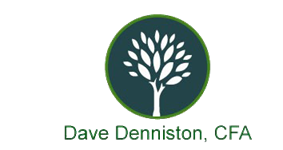 Views and opinions expressed are those of Dave Denniston as of 5/3/16 and are subject to change based on market and other conditions. The information provided is general in nature. Consult your attorney and/or tax professional regarding your unique situation.